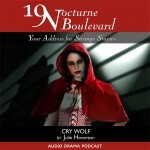 Another cover for 19 Nocturne Boulevard, for the episode Cry Wolf . This was my first comissioned piece. 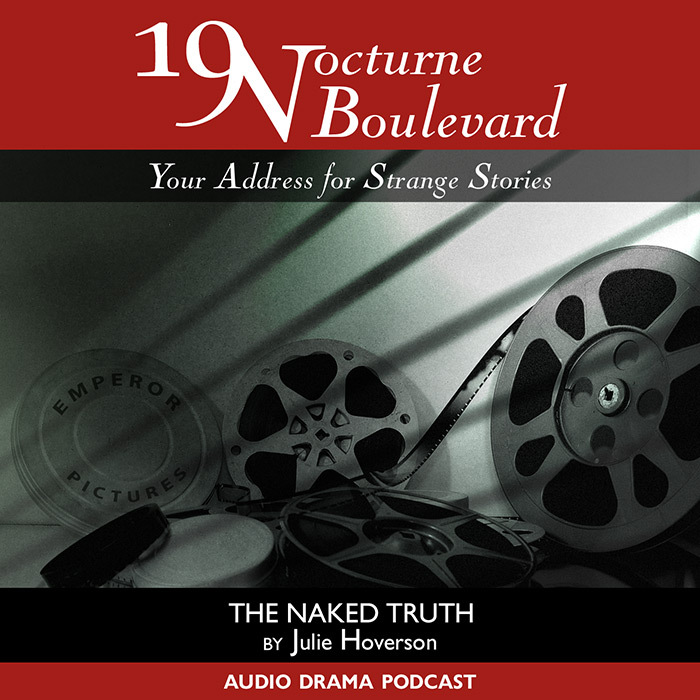 Julie Hoverson and I discussed several ideas … but in the end I reigned in my instinct to be complicated and kept it simple. Noir is fun to do — it’s typically characterised by a black and white (or desaturated) palette, possibly with some colours (commonly red) made striking or vivid in constrast. 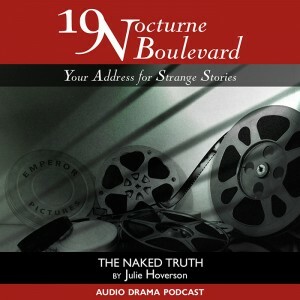 Noir also emphasises the play of light and shadow. The bars cast by vertical blinds is a common motif. So the mood and tone I was very clear on. Rather than go for black and white, I’ve opted to give a slight green colour cast for two reasons: the first is that it’s “fairytale” noir, and green is a colour associated with fantasy and fairytales (witches, goblins, emerald cities etc), and also because I gave the subject green-eyes and wanted to subtly echo that. I changed the complexion and lighting of the original photograph of Red Riding Hood, and added another cloak over the shoulder to make her a bit more “hood”y. 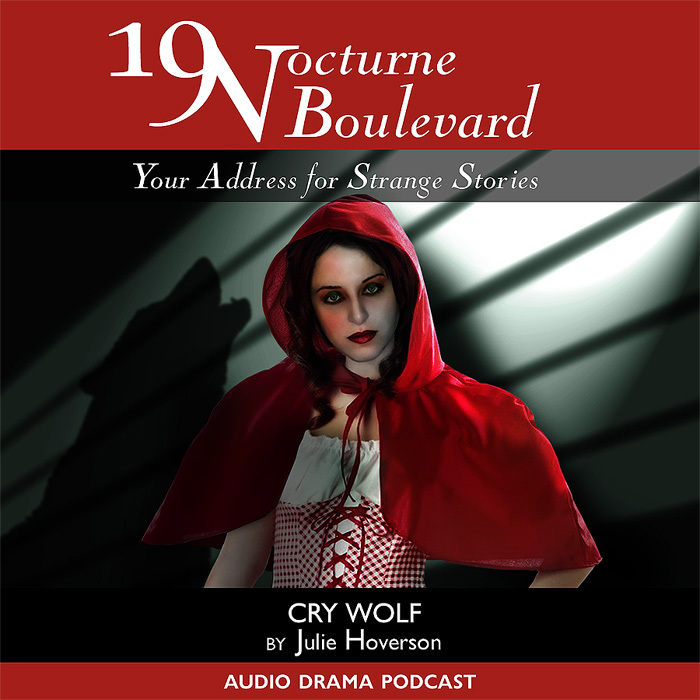 Reducing the Wolf to a shadow (as he is dead when the story opens) worked nicely. Quite happy with this one.